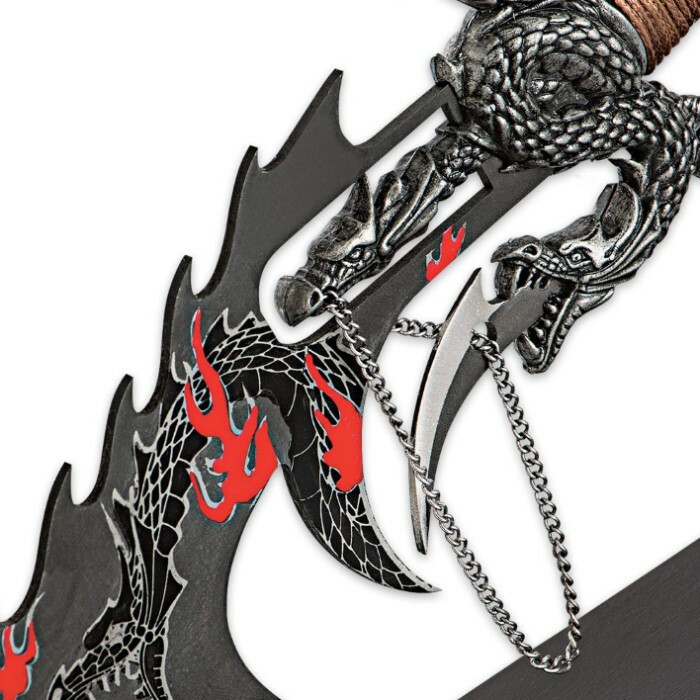 Piercing Dragon Death Ray Sword With Display | BUDK.com - Knives & Swords At The Lowest Prices! Look no further for your next edged showpiece! 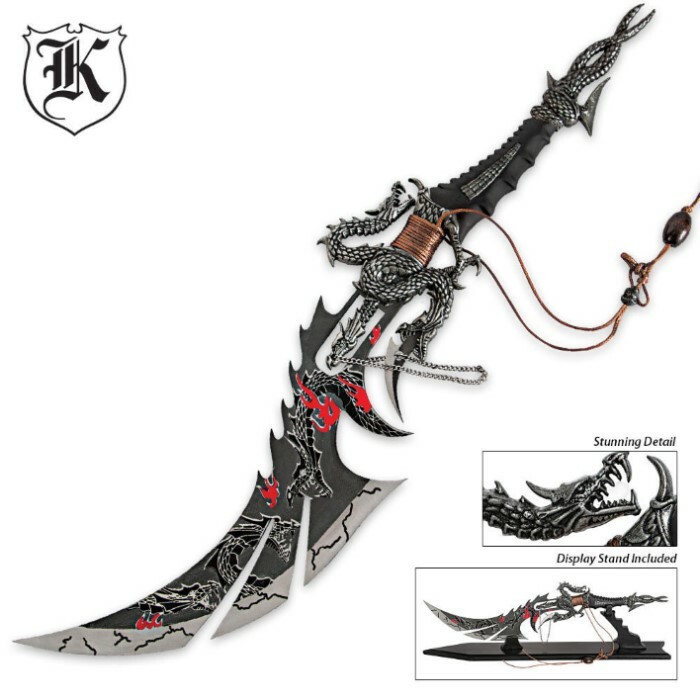 Our brand new Piercing Dragon Death Ray Sword features a highly detailed fantasy blade with a hand painted red and black dragon motif. The curved stainless steel blade is very dramatic, and the metal alloy handle has a rubberized grip and additional dragon details. It comes to you with a tabletop display stand so you can make it your centerpiece! It will surely be a talking point at your next meet and greet. 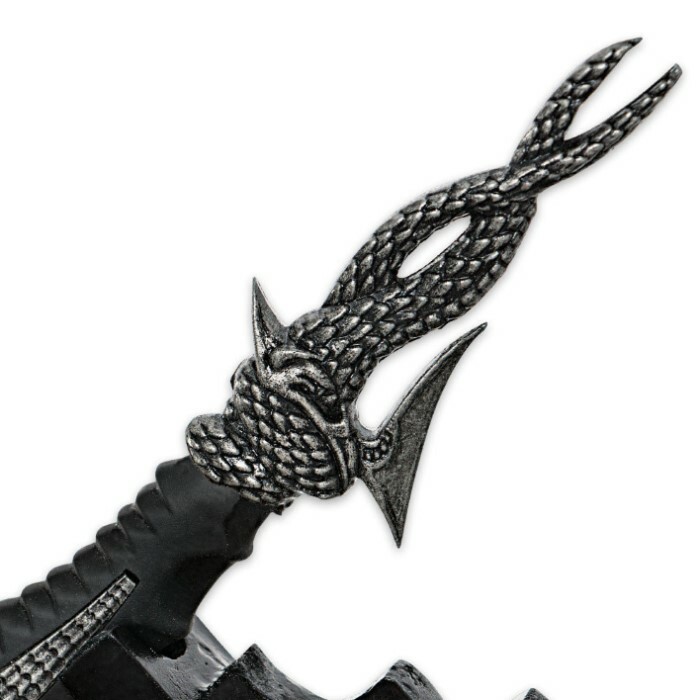 I really like this dagger its a great addition to my collection the design is elegant yet fierce. All in all perfect for desplay.